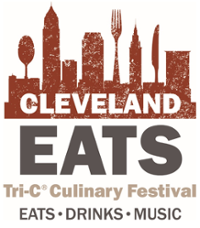 Cleveland Eats is a local chef-driven culinary festival that benefits growth and scholarship funding for Hospitality Management programs and students at Cuyahoga Community College. Join us on Saturday, Sept. 15, on Mall B in downtown Cleveland for small plates prepared by the city’s top chefs and restaurants, cooking demonstrations, live music, craft beer, Cleveland vendors, family-friendly activities and a magnificent fireworks display! Visit www.tri-c.edu/ClevelandEats for full festival information.